This is one of the strictest restaurants in terms of creating the menus. 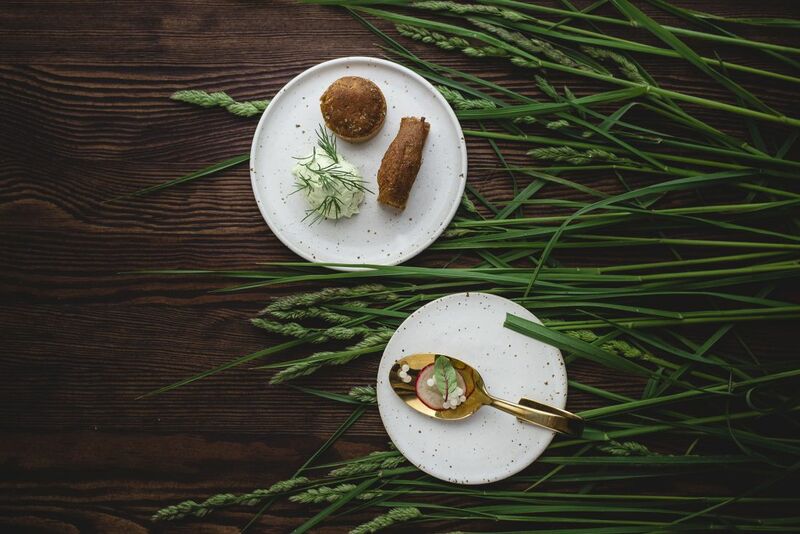 Each dish is based on history facts and reflects the way the Lithuanian nobility ate the last few centuries. For this exact reason, this restaurant is loved by foreign travelers who can get to know the history of Lithuania through gastronomic experience during one dinner. By the way, once, representatives from 66 different countries around the world dined here at the same time. The seasonal menu of Ertlio namas is short, but it is changed six times a year. Guests can choose between 4 course (30 Eur) and 6 course tasting dinner (40 Eur). 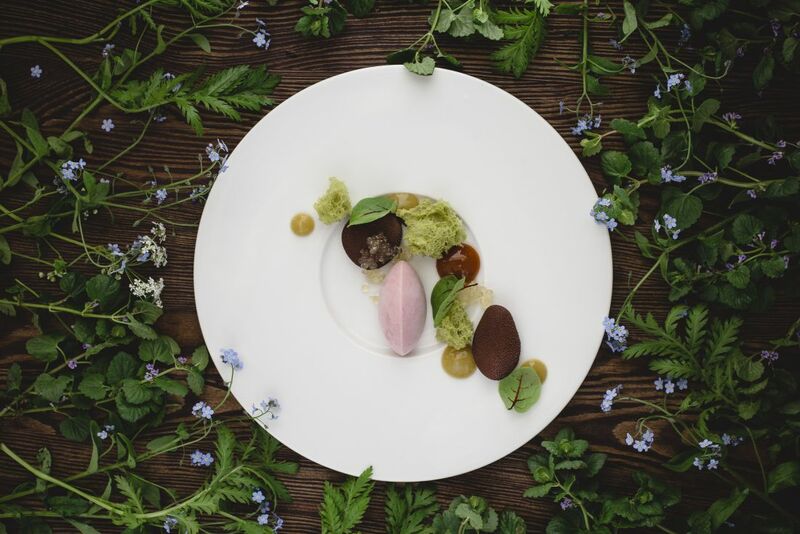 Each option is complemented by chef's compliments (for example, if it is a snail season, guests will enjoy rhubarb with snail caviar and radish appetizer with the accompaniment of carrot bread, etc.). 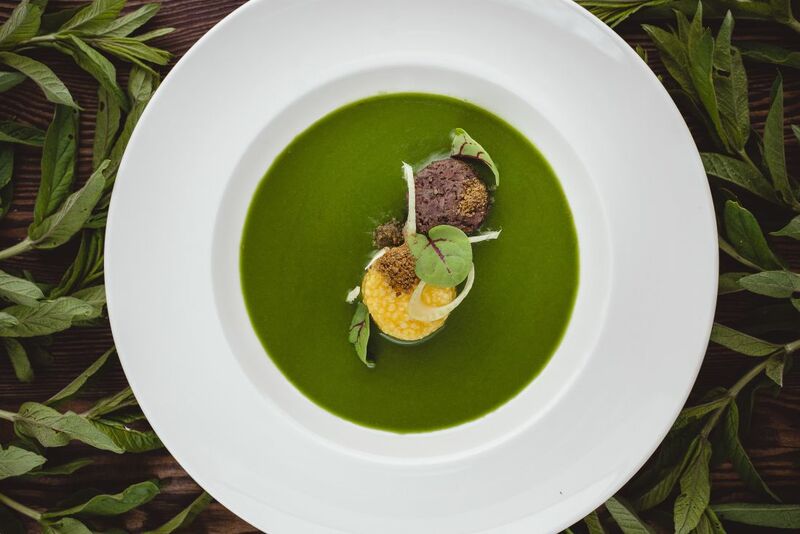 The dishes come with stories - from where the ingredients were transported, how they were grown, processed, combined and, of course, in what century the recipe was created. True, although the ingredients and combinations are historical, Tomas utilizes modern technology to process them. A participant of about 20 national and international culinary championships and the prize-winner of some of them, expert of the historic cuisine Tomas Rimydis, has worked in many different profile kitchens. Working in the professional culinary world from the age of 17, the chef has helped open the legendary restaurants Meksika and All Stars. He also created the concept and menus of several SPA complexes (SPA Vilnius, UPA, Vytautas Mineral SPA, Plateliai Sala Resort). 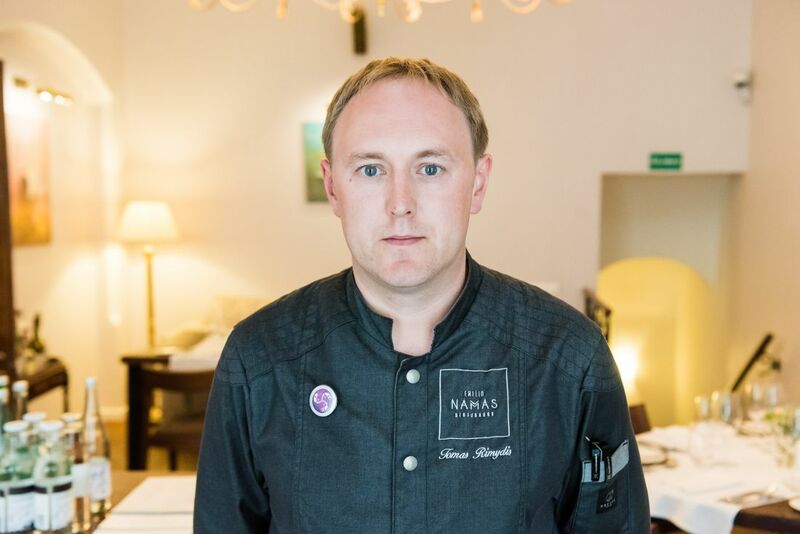 For 6 years he had a chance to manage the kitchen of Reval Hotel Neris in Kaunas. 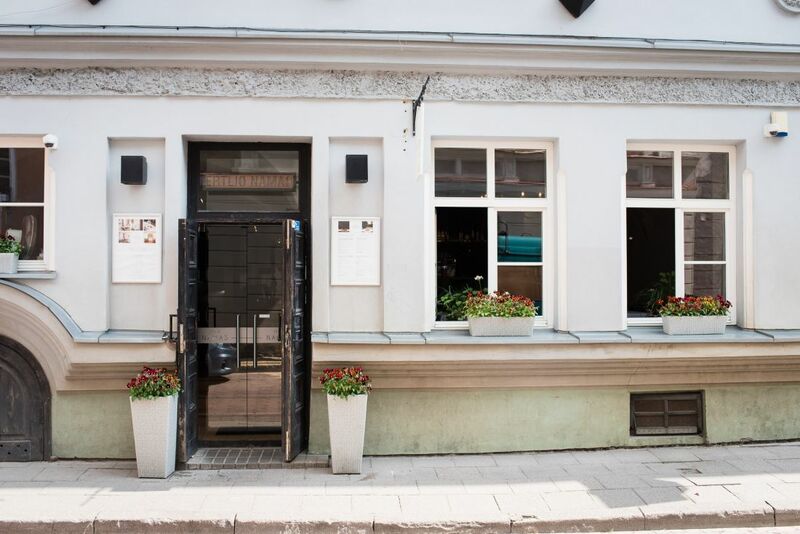 And when the premises in the heart of Vilnius became available, he took the challenge to open his first restaurant Ertlio namas. 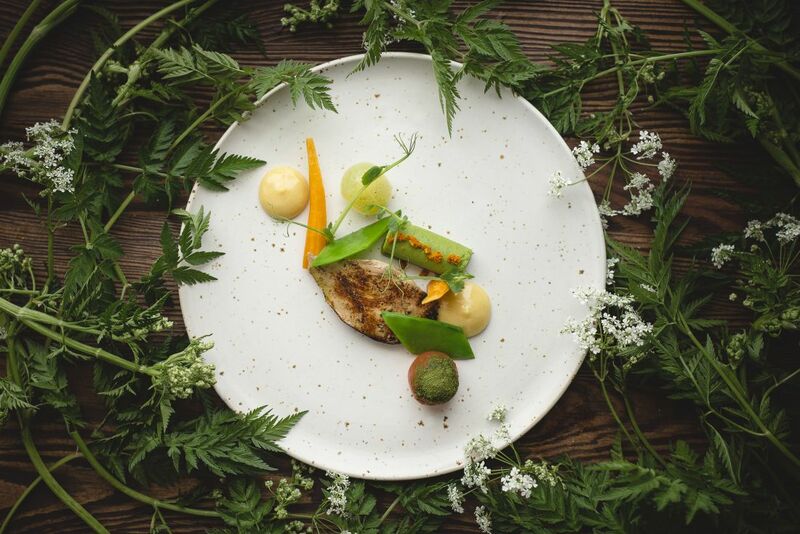 And although he still lives in Kaunas, he travels to Vilnius almost every day, because, as he himself says, he is „ crazy about this restaurant“. 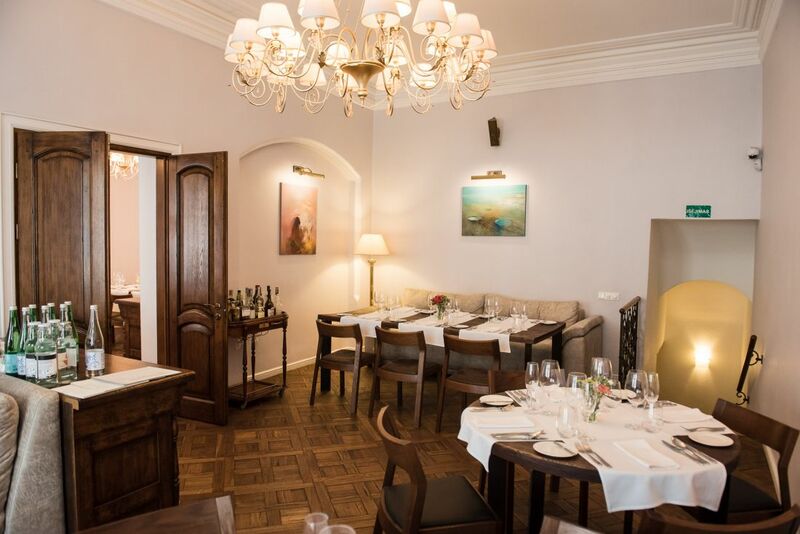 The restaurant is located in the historical house of Jurgis Ertlis, built in the 17th century. Now it has four rooms: rectors’, hetmans’, voivodes’, chancellors’ and the outdoor terrace. The interior - like at home, inviting you to relax and enjoy the company and the history of Lithuania.